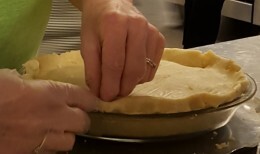 Cooking – You Asked It! To help encourage kids to cook, learn strategies to implement Kids Cook Monday in a webinar scheduled for Monday, April 23, 2018. This webinar will explain The Kids Cook Monday initiative and why it is beneficial to schools and communities. 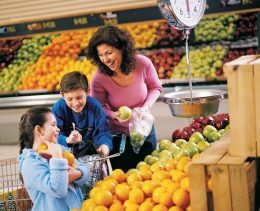 It focuses on parents and children cooking together to focus on healthy eating and healthy lifestyles. There are many benefits of children and parents preparing meals together, including better health and nutrition, academic skills, and the start of healthy behavior patterns. The webinar will also explain why Monday is the best day to begin this practice, and convey effective ways to implement and maintain The Kids Cook Monday program. Webinar information and details can be found at https://learn.extension.org/events/3413. The choices for vegetables just added a new member! Your local grocer may be offering Kalettes. What is this new vegetable? It is a cross between kale and brussels sprouts. It looks like a little cabbage with heads that are loose and frilly, green-purple leaves. Kale and brussels sprouts are in the same family, Brassica Oleracea, along with cabbage, cauliflower, and broccoli. The goal was to create a versatile vegetable that is easy to prepare and attractive. Their flavor is said to be sweet and nutty. Kalettes can be eaten raw or sautéed, roasted, or grilled. Kalettes were created in Britain after a decade of research by Tozer Seeds using traditional hybridization techniques. Learn more about Kalettes at www.kalettes.com/. Every year, one in six Americans become ill from foodborne illness. Many times, these illnesses are traced back to improperly cooking foods, especially convenience foods. The Partnership for Food Safety Education has a education effort entitled Cook It Safe! to help consumers learn about safe cooking. Not all convenience foods are intended to be heated or cooked in a microwave. Many are conventional oven use only. So, always read and follow the cooking directions on the package. 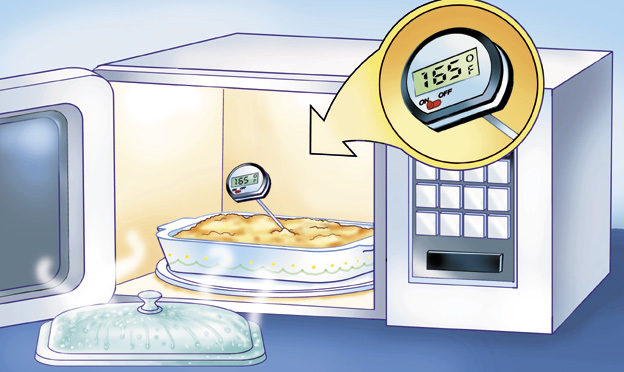 If a microwave can be used, know the microwave wattage to know how much time it will take to heat the food. Finally, always use a thermometer to safely reach the proper internal temperature. 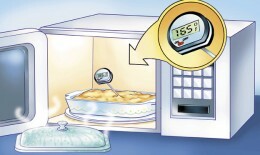 Many convenience foods need “stand time” after cooking to allow the food to reach safe temperatures. Learn more about the Cook It Safe! program at www.fightbac.org/food-safety-education/safe-microwaving/.